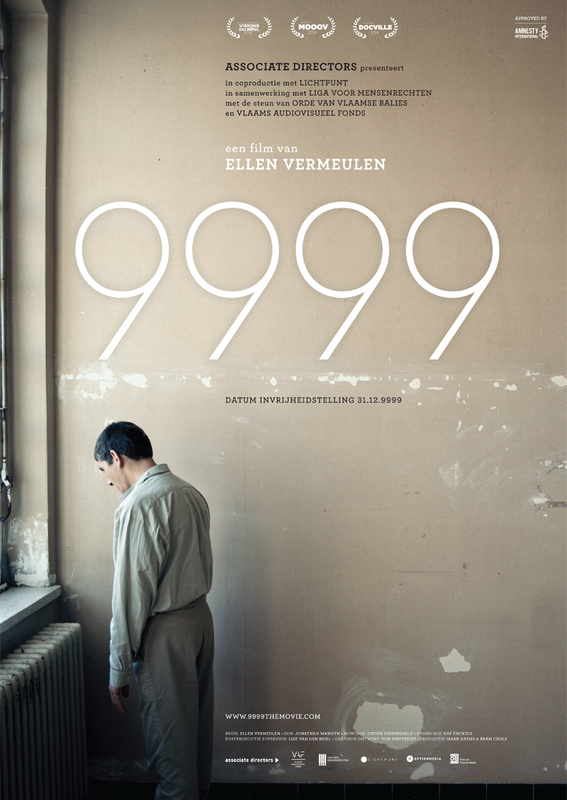 For me, Ellen Vermeulen’s 9999 (2014) is the key film of Document – International Human Rights Documentary Film Festival 2015. That’s perhaps a less grand claim than it seems, so let me explain why. This was my first year on the Document selection panel, the purpose of which is to shape the programme from a long and varied list of submissions and sourced films. As I tentatively joined the conversation, I had a couple of nagging concerns both of which informed the other. First, I wondered how qualified I was to contribute at all and, second, how worthwhile the whole enterprise was to begin with. This isn’t to suggest I was fretting over the merits of universal human rights. Rather, as someone who has more commonly used cinema as an entertainment – a fitfully enlightening distraction – I was just a little preoccupied with how effective documentary film could really be to make real-world change. I was thinking of Louis CK’s bit about how he often contemplates giving up his first class seat to soldiers flying coach on the same plane, though he never actually has. “I never really even seriously came close,” he says, “and here’s the worst part – I still just enjoyed the fantasy, for myself to enjoy. I was actually proud of myself for having thought of it.” And so, how easy it is for us to feel like we’re actually doing something worthwhile, simply by having sat ourselves down to watch a film and perhaps been horrified rather than thrilled. And then, the films themselves, in the best of all possible worlds, what good are they? Aren’t we kidding ourselves that they can make a difference? Pondering this, of course, I’m not alone. Some of the most impressive, impactful documentaries of recent times, Joshua Oppenheimer’s The Act of Killing (2012) and its companion piece, The Look of Silence (2014), generated a lot of publicity, a lot of attention, a lot of discussion and, really, not a lot of action. 9999, formally, is like Frederick Wiseman by way of Roy Andersson. Vermeulen’s tableaux confidently marry the patience of one with the pace and poise of the other. The minimal scene-setting evolves into an absence of hand-holding as the film plunges the viewer into the lives of five inmates – Joris, Ludo, Salem, Steven and Wilfried – of the Merksplas Prison in Belgium, with no narration, on-screen presentation or even identifying graphics. By their own admission, these men could have murdered family members to escape the threat of internment, or simply set fire to a bicycle as a cry for help. Lack of places in psychiatric hospitals puts them in prison with no therapy for an interminable period. Actually, that’s not strictly true – their files require a release date set for 31/12/9999. Vermeulen gives us a brief window into each of their worlds within the prison, letting them tell their stories, air grievances and ruminate on their fates. These inmates of Merksplas, rather than the froth-mouthed lost causes of popular imagination, retain enough self-composure, indignation and bitter humour to compare themselves to trapped animals. That’s when they’re not eloquently presenting a case for the mental health treatment they’re not receiving. The film conjures the creeping dread of Gabriel García Márquez’s short story I Only Came To Use The Phone and the moral horror of One Flew Over The Cuckoo’s Nest. Except, of course, this isn’t a horror story or an allegory, but an ongoing, real-life failure of basic human rights in a country of the west still best known for its luxury chocolate. Flanders Doc, a group of Belgian directors and producers, tweeted in July, “The documentary film “9999” was screened at the European Court of Human Rights in Strasbourg. Docs change the world.” Whether their conclusion is justified or not is difficult to say. The same assertion could certainly be made for other films screening at Document, and I think its fair to say that while condemnation is vital, it often falls tragically short of a real solution. It’s very easy to become disheartened, discouraged or depressed when you note how many of these documentaries conclude with bad people simply going about their lives while ordinary people – those who have kept their lives – suffer in their wake, while others are crushed under some invisible wheel both they and we can barely comprehend, much less steer. However, the deceptively banal understanding I came to is that 9999 is…a document. Vermeulen’s unassuming approach persuaded the sceptic in me of the efficacy of such films, regardless of bolds claims of immediate or widespread social change. 9999 is worth our attention in the first case – as with so many of the films in our programme this year – so that any pressure brought to bear upon the authorities due to international exposure of the issue may improve the lives of these people and challenge an injustice. In another, perhaps more measurable sense (reflected in Document’s teaming up with Scottish Mental Health Arts & Film Festival to present it), 9999 shows what’s at stake in our treatment of all people suffering mental illness. It demonstrates that, every day, our individual humanity is in the balance, as much as theirs. An edited version of this article was originally published at Common Space. Document Film Festival runs from 16th-18th October, 2015 at CCA Glasgow. 9999 screens on Saturday 17th October at 4pm. This entry was posted in Glasgow, Preview and tagged 2015, 9999, Belgium, CCA, Cinema, Document, Documentary, Ellen Vermeulen, Film, Film Festival, Glasgow, Human Rights, International Human Rights. Bookmark the permalink.